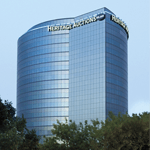 Consign your material to be auctioned alongside these items on Wednesday, November 13, 2019 in Dallas, TX. Consignment Deadline for this auction is Tuesday, September 3, 2019. Condition Report*: Mat burns; foxing spots. Matted and framed under glass.